In our Spanish for Spanish Speakers course, an assignment asks students to compare their lives in the United States with that of a fictional character in the lesson. This character writes an entry in her diary describing her struggles to fit in with two different cultures, dealing with attitudes towards her language and towards her, and even learning to speak “Spanglish.” I especially like part of her entry where she talks about another Spanish-speaking lady she meets at her kid’s school who owns a store in town where she can meet for a cafecito* and some very-needed Spanish conversation. Teaching this lesson, I suddenly realized that I struggle with the very same things! After some thought and reading some of my students’ responses to the assignment, I started to think about my point of view on this topic – as well as my daughter’s. She was born in the United States and has only spoken English (in spite of my mami’s* outrage). When she calls her grandparents, they speak to her in Spanish or broken English. We love Hispanic food and even boogie to some salsa and merengue once in a while in the car. I agree that being bilingual is a great advantage and I am so proud of my Spanish-speaking students for wanting to improve their command of the language. I hope one day my daughter will be as proud of her Hispanic heritage and will want to do the same! We encourage her by speaking Spanish around the house and spending time with her grandparents whenever we can. We also provide experiences in which she can enjoy all the hidden gems of our Hispanic heritage, including music, literature, art, and of course, the food! We also help her to always be proud of who she is and to connect with her cultural duality so she can understand where she comes from without losing sight of where she is. America is becoming a true melting pot of cultures. Or, like we would say in Spanish, “un sendo caldero!” * And Hispanics, well, we are just but one of the many ingredients that make the rice and beans of our modern American culture. And, for those times when some extra guidance is needed, here is an excerpt from my pocket guide to Spanglish which I hope will help you as well, dear reader, when you find yourself navigating the international waters of our modern American culture! You will be pleasantly surprised to learn that the word sandwich is the same in English and Spanish! Just be aware of the slightly different pronunciation: sandwich: [san-dweech] or [san-gweech] or [sand-dwee-chay]. Add the word “Cubano” [koo-bah-know] after to order a Cuban sandwich – BONUS! 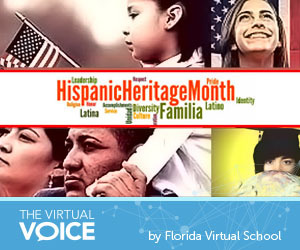 This entry was posted in Homeschool Edition, Parent Edition, Student Edition and tagged Culture, Diversity, National Hispanic Heritage Month, Spanish, Spanish for Spanish Speakers, Spanish phrases, World Lanugages on October 2, 2015 by Rose Rodriguez. Nice post! Biculturalism is tough because you don’t wholely fit in either culture. Most exchange students and first generation immigrants have a hard time finding the best from both worlds once they have adapted to another culture. They will miss something from whichever culture they are not currently living in. It may be words that describe what they want to say better, food they really enjoy that reminds them of ‘home’ and family or cultural warmth, organization, & ways of celebrating. I agree Lisa! For me it’s the good memories from my childhood and young adult life that come rushing when I hear a song or smell the aroma of holiday food. Definitely miss the celebrations which are different here. Thank you for the comment!